Acupuncture originates from China. It is a form of ancient Chinese medicine in which fine sterile needles are inserted into acupuncture points in the skin. The overall aim is to restore the body’s equilibrium, reducing pain and illness. The Theory behind Acupuncture is that energy (known as QI) runs through acupuncture points that are located on channels called meridians. It is believed that illness is experienced as a result of QI not being able to flow freely throughout the body. There can be many reason for this, stress, poor nutrition, injury and infection amongst others. Many scientific studies have been done and it is believed by both scientists and acupuncturists that the technique may stimulate nerve and muscle tissue, thus being responsible for some real health benefits. Evidence indicates that acupuncture stimulates endorphins, these are brain chemicals that function to relieve pain. 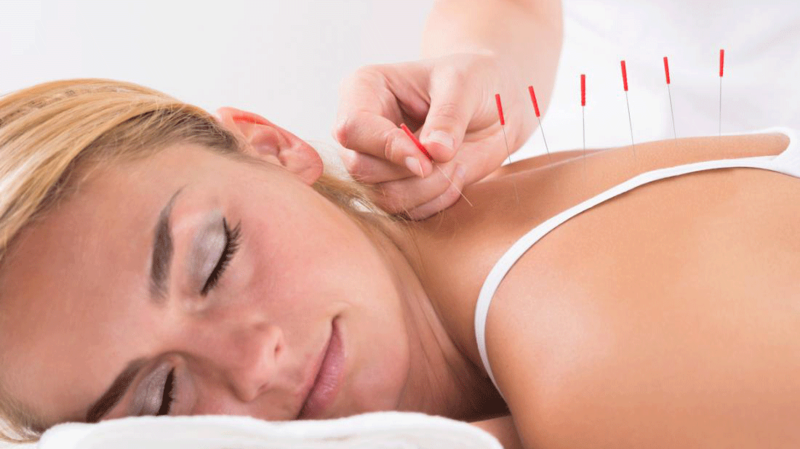 Acupuncture can improve circulation, strengthen the immune system, increase joint flexibility and reduce muscle tightness. Lower back pain, shoulder pain, neck pain, headaches, stress management, arthritis, insomnia, hip pain, irritable bowel syndrome, menstrual difficulties, weight control, smoking addiction, infertility, sciatica, allergies, pregnancy, sporting injuries, chronic fatigue syndrome, sinusitis and pregnancy amongst others. Your first session will last up to 1-1 ½ hours to allow for discussion and treatment , each person is unique so treatment times may vary. You may experience a slight sting on insertion of the needle. Followed possibly by a dull ache, numbness, tingling or hot sensation, however, you should feel no pain during the session. Some people may feel immediate relieve, whilst others may need a few sessions to benefit from the treatment. Acupuncture treats the person as a whole, not a specific symptom or condition. Many people chose acupuncture as a preventative measure, to maintain good health or to improve their overall sense of well being. Acupuncture can be helpful for overcoming drug or alcohol addiction. For those recovering in rehab or a detox, acupuncture can be effective in dealing with withdrawal symptoms. There are many other holistic therapies that can provide the same effective treatment. Including aromatherapy, creative therapy, fitness, nutrition, reflexology, wellness and yoga.